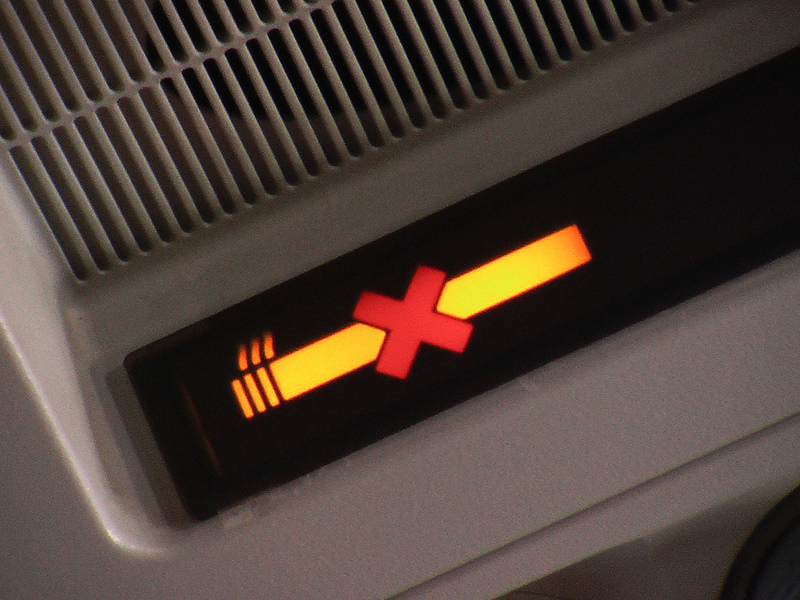 ATLANTA, GA—Reports surfaced this morning that the “No-Smoking” indicator on Delta flight 2435 with service from Atlanta to Salt Lake City reminded passengers that the plane is really old. “I looked up at the console and saw the brightly lit No-Smoking sign, which let me know that this aircraft was built in a different era,” said Craig Reynolds to reporters. According to sources, the sign with a cigarette crossed out informed all 258 passengers that the Boeing 737-300 was likely built around 1988, when smoking was banned from all flights and people actually had to be reminded not to smoke during flight, which to many travelers, seemed like a very long time ago. Additionally, upon seeing the console display, several passengers realized that the plane flying them across the country was likely built before they were born. “I mean, if they have to tell me that I can’t smoke, this plane must have a lot of miles on it.” At press time, the captain turned on the “Fasten Seat Belt” sign to inform the cabin that flying is dangerous.